Two dozen members of Congress held a press conference earlier this summer in support of the SNAP program, which was just cut nearly $40 billion in the House bill. 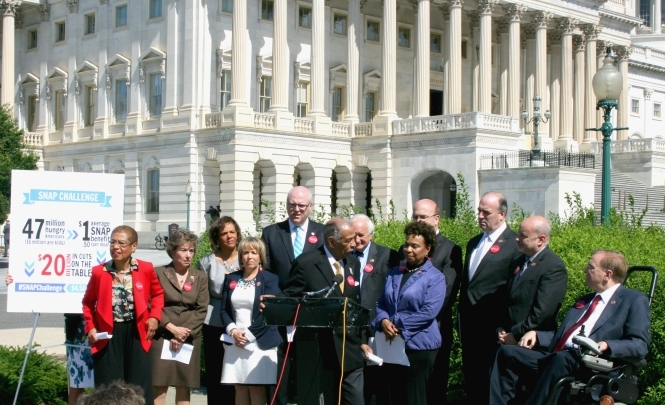 Photo courtesy of Congresswoman Barbara Lee’s website. We broke the news last week that the House had passed a nutrition-title-only bill last week (here’s a good article summarizing how each representative voted), finally following up after passing an everything-but-nutrition farm bill a couple months ago. For a quick refresher on the entire process, check out the article we posted last week. So now does this mean that the House has at long last caught up to the Senate and is ready to start negotiating a final farm bill in conference? Well, almost. Technically they can only bring one bill to conference with the Senate, and since the Senate has one omnibus farm bill and the House now has two (with nutrition being a separate bill), there is some legal maneuvering that has to happen – most likely they’ll merge the two bills together and then move forward. The big question, though, is the time-line. There are a lot of programs that expire next week, on October 1st (because of last Fall’s one year extension), and it seems almost inconceivable at this point that they’d get it all done before then. So what happens in the near term? and many conservation programs, such as the Conservation Reserve Program – Transition Incentives Program (quite a mouthful! ), which incentivizes farmers whose land has been held in conservation reserve to allow beginning farmers to lease or purchase it. 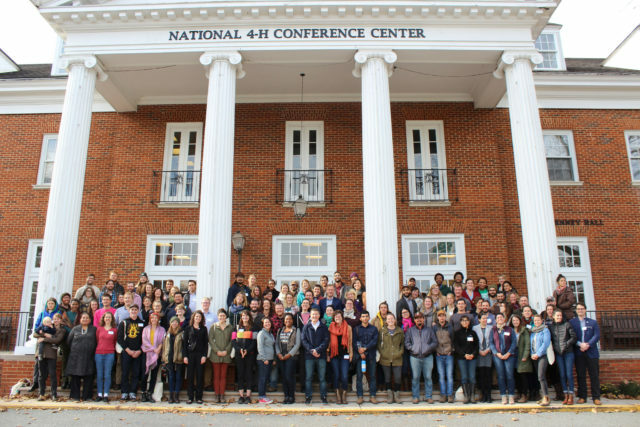 The National Young Farmers Coalition has joined with dozens of other organizations on a nation-wide sign-on letter to Congress, urging them to do the right thing and not leave beginning farmers and ranchers behind. Despite the slowness of this farm bill process, we are confident that our elected officials will do the right thing and finally pass a real farm bill – one that ensures a positive future for American agriculture.